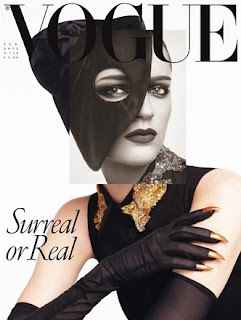 Dutch model Laura Kampman is a marked woman following her stunning debut on the cover of Vogue Italia's February 2012 issue. Model maker Steven Meisel captures the versatile newcomer in a series of artistic portraits which pay tribute to the surrealists. 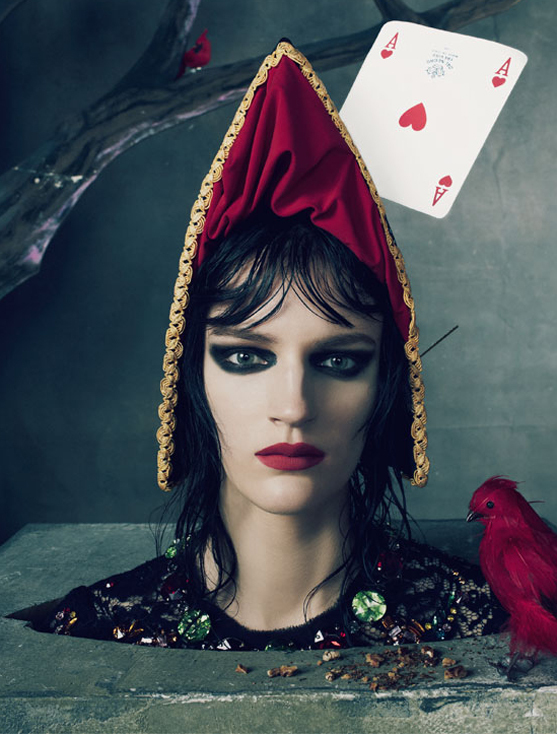 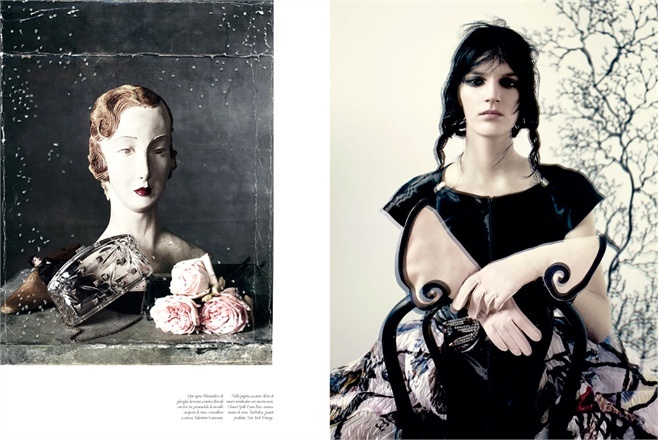 Kampman looks positively enchanting in elaborate head pieces, lacy veils and capes, and full length gloves. 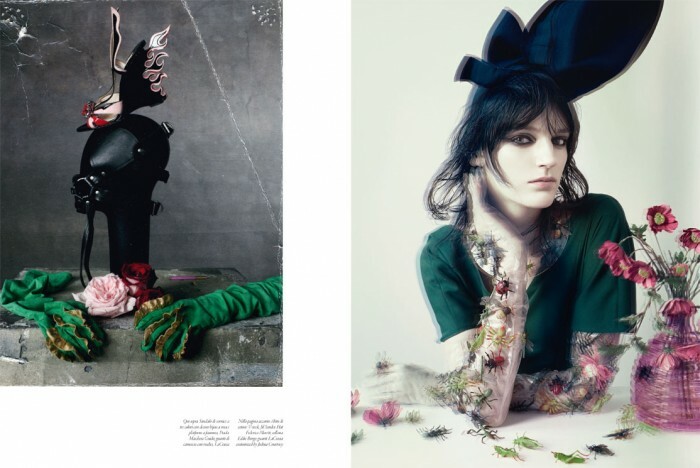 Represented by New York Model Management, Kampman is ticking off all the right boxes including exclusives for Calvin Klein and Balenciaga at the Spring/Summer 2012 collections, editorials for British Vogue and Vogue Italia, and a Balenciaga campaign lensed again by Meisel. 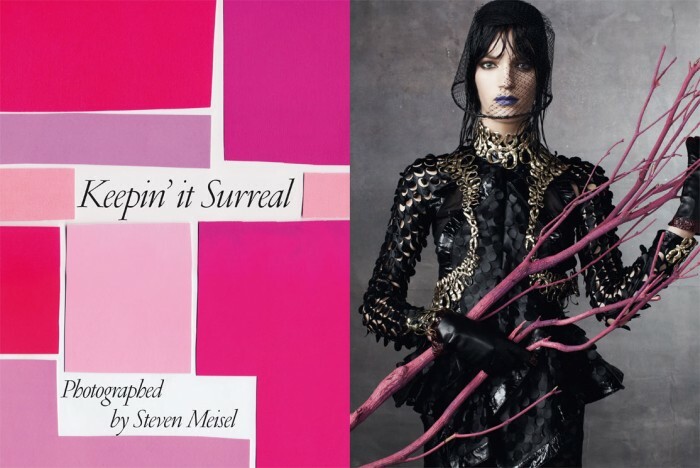 With New York Fashion Week less than a week away, you can bet that Ms Kampman will be the most coveted name on the list of the most influential casting directors and designers.